It’s a sad day around the world of baseball as the ageless wonder, Julio Franco has announced his retirement after 23 seasons in the majors and almost 30 years in professional baseball around the world. Franco, who holds the record as the oldest player to hit a home run in the big leagues, retires ostensibly at the age of 49, he announced in a statement from Mexico where he was currently playing. Franco’s amazing career took him around the majors, playing for 7 teams, as well as several years in Japan, South Korea, the Dominican and Mexican leagues. Originally coming up as a basestealing shortstop, stealing 32 bases in his first full season in 1983, Franco later transitioned as he aged to a (semi) useful corner infielder, even playing some third base last year with the Mets before they released him and he briefly was picked up by the Braves once more. During his career he was a three-time All-Star, a 4 time Silver Slugger winner and was the runner up for 1983 Rookie of the Year to the immortal Ron Kittle. 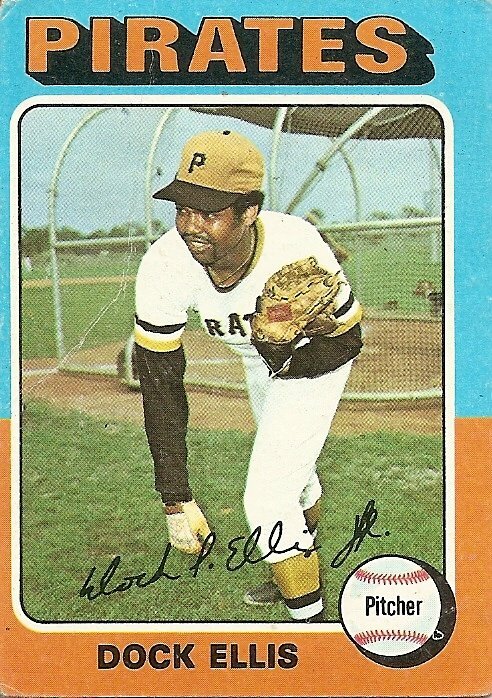 At one time in his career Franco played at every position in the infield besides catcher and pitcher. In 1991, Franco bested Wade Boggs for the American League batting title hitting a robust .341. Franco is the oldest player ever to hit a grand slam, a pinch-hit home run, two home runs in one game, and to steal two bases in a game. On April 26, 2006, Franco became the second-oldest man in Major League history to steal a base, behind only Arlie Latham, who accomplished the feat in a token appearance at age 49 with the New York Giants in 1909. On July 29, 2006, against the Atlanta Braves, Julio Franco became the oldest player ever to pinch run, when he came in for Carlos Delgado after Delgado was hit by pitch. On September 19, 2006, a day after the Mets clinched the division title, Franco started at third base in a game against the Florida Marlins. This was Franco’s first start at the position since his rookie year, an astonishing 24 years between starts at the position. Famous for his legendary workout routines and eating a raw egg every morning, Franco ends up with 2586 MLB hits and a combined total of over 4200 hits counting his stints in South Korea, Mexico, Japan and the Dominican, joining Pete Rose and Ty Cobb as the only players to ever have that many combined hits in professional baseball history. Now that he is retired, I just have one simple request, for years there have been rumor after rumor that Franco’s listed age was not his actual age, that in fact he was older than he admitted. When he came up as a young prospect this wasn’t such a big deal, but now that he’s retiring, it is time for him to come clean. I want to truly marvel at this man, and he should get his due. If he truly has been hiding his true age and he is in his mid 50s (as I suspect) then he should be truly celebrated for being the oldest player in the history of the game. If he was able to play this game at such an age than he is a marvel and deserves the recognition therein. Indeed and you are just such a great man. You will be missed Julio, you were a constant for my entire life as a professional baseball player and have accomplished some incredible feats across the years. So congratulations on a wonderful career and a life seemingly well-lived, long live Julio Franco! You’ve seen it at every Marlins home game. Same with the Pazuzu Rays or most Dodgers games. Nationals games definitely have the same issue; empty seats all over the stadium. There is nothing more pathetic than watching a game and seeing whole sections with no one in them, and no section is worse with constantly empty seats than the area behind home plate. Now, bad teams–although the Rays are on the upswing and the Dodgers should be good but their fans are generally some of the lamest possible–are always going to have trouble selling seats, I get that, but it would seem to me that there would be some inherent advantages in making it seem like more people are at the game. There is probably no single shot used in a baseball game more than that of the center field camera focusing in on the plate, it’s probably used 200+ times per game. Wouldn’t there be some inherent value for the teams to at least pad their broadcast a little by making it SEEM like there are more people actually at the game? I understand that for baseball teams the money generated by the seats behind home plate and around the dugouts can be enormous, but here’s something I don’t understand. If there is no one in those seats by the end of the first couple of innings why not have staff move around the stadium and offer those seats to the other fans that are spread out across the stadium. The premium seats are either sold and no one showed up or remain unsold and would be otherwise empty, so why not fill them up? Sure, some fans will be more than happy to stay in the upper decks or whateves, but most will jump at the opportunity to get closer to the action. For many fans, it would probably be the closest they’ve ever sat to the game and would be a forever memorable occasion. What good does it do to keep those seats empty the entire game? The team wouldn’t be losing money because those seats are going to remain unsold or unused regardless and the fans that would be offered the seats would have already paid for their initial tickets. Furthermore, the amount of positive PR this would acquire could only serve to help the team that did this. If I knew that every time I went to a game that there was a chance I could be upgraded for free to a premium seat why wouldn’t I try and go as much as possible and take advantage of such an opportunity? Now some of these seats include drink and food service, I could see that this might cause a financial loss for the team, so, solution, make server service unavailable for those who are upgraded and didn’t actually pay for the premium amenities. The game alone from that close would be special enough and I can’t imagine fans wouldn’t be cooperative or understanding. Not only will some goodwill be earned with the fans who are supportive enough to keep coming to otherwise empty stadiums but it will spread out exponentially. As fans tune into the games or see recaps they will see that shot of home plate again and again, if they see lots of people in the seats the assumption would be that the team is more popular and might entice those important casual fans to make a few more trips to the stadium. Again, if those same fans knew there was a decent chance they would get a chance to sit in such incredible seats they would be even more likely to return several times. My good friend Jon Eick of SoGoodBlog.com thinks these might be the greatest commercials ever. I won’t go that far, but they are certainly ridiculous. 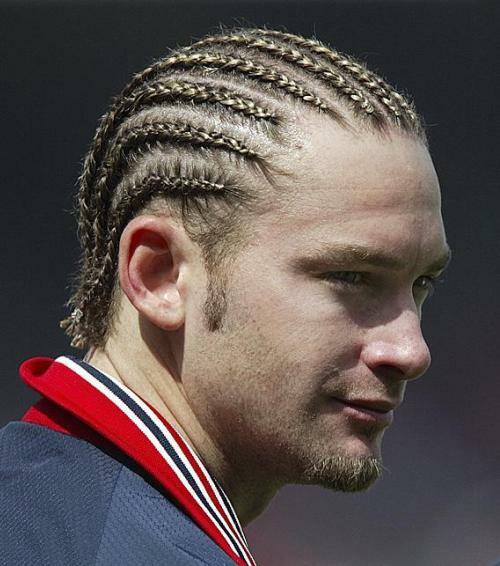 For those of you unfamiliar with Bronson Arroyo as a musician, take a few minutes to familiarize yourself with his canon, you won’t regret it. Unless of course, you’re someone who as a rule only enjoys good music. Then you might not like it. Then again, you could also be a narc. Are you a narc? You have to tell me, you know that right? So these local ads have been airing in the Cincinnati area and feature Bronson wailing on his 6 string about the joys of beef. Look at how hard he is rocking out there! He’s got the head bob, the jiggling guitar and the flowing locks, it’s truly a wonder to behold. It’s like if Creed and Nickelback formed together to create one giant awesome band of suckitude. I especially love the guy sitting on the bench, the fake teardrop, and then, the sheer joy and happiness he feels knowing that he is together again with JTM. Look at that smile on his face. I don’t know that I have felt, or ever will feel such absolute joy as he has in that moment. I’m jealous. He’s sitting there, saddened by the absence of the Reds but then, BOOM, Bronson reminds him that there is goodness in the world. If that’s not a message of hope than I don’t know what is. Bronson has a simple dream, to share his meat with all the world. Why won’t we let him? Bronson’s meat is the best. It is delicious, tender, the perfect size and fits wonderfully between buns. Bronson’s meat is sure to satisfy. The ladies agree, Bronson’s meat is the best! Really, someone should contact Barack Obama’s campaign, I think we found the message they’ve been looking for in these last weeks of primary season. This truly is the message of hope. YES WE CAN! TOGETHER AGAIN! And of course a h/t to Sogoodblog.com! I went to Shea “I’m a dump and please just close me now so the dopeness of CitiField can be enjoyed” Stadium last night for my first game there this season. It seemed like a perfect night, $5 tickets, the chance to see the apparently hapless Mets and the certainly woeful Washington Nationals, what more could I want? Well, the Nationals held the Mets down completely and handily–turns out having Brady Clark, Raul Casanova, Luis Castillo and then the pitcher is not a good lineup. Who would have thought it? Clearly not Willy Randolph who handled this game super poorly from the get-go. Anyhoo, managing only one run for most of the game and getting struck out 11 times by John “Can you imagine that the Mets are this pathetic right now” Lannan, it seemed very likely the Mets would lose. The single most exciting part of the game came when a giant tabby cat ran out of nowhere onto the field and towards the Mets dugout. It received a louder cheer than most of the players. Completely surprising most of the crowd who were already resigned to a loss, Carlos Delgado came through in the clutch and drove in the tying run. The game ended up going 14 boring innings. Scrub pitcher after scrub pitcher got into the game, there was even a Ray “I ate 19 slices of pie before the game” King sighting! Not a very interesting game. The Mets had multiple opportunities to win the game but squandered them. Raul Casanova alone ruined most of the rally chances, and when he didn’t totally shut the door, Luis Castillo did. That 4 year 24 million dollar contract must have weighed down Castillo’s bat because it is pitiable slow, that’s what we call a shrewd investment, don’t worry, he’s only in the first year of that contract! Regardless, the Mets eventually won in the 14th on a wild pitch. Terrible. That didn’t end my baseball night though. Upon arriving home I noticed that the Padres-Rockies game was still tied at 0-0 heading towards extra innings. I caught up on this week’s Deadliest Catch (it was ok, but not the best episode or anything) and then looked at that game again, they were heading into the 13th. So, I figured I’d jump along for the ride. Matt Vasgerian was calling the game for the Padres TV and announced that there was no way the game would go as many innings as 18, and if it did, he’d eat his hat. The 14th comes around and the Rockies managed to get the bases loaded, which is impressive considering they managed 2 extra base hits, then Brad Hawpe (who otherwise went 0-7 with 4 Ks (thanks for killing my fantasy team with that one) walked to score the first run of the game. In the 14th! But then, with their own bases loaded situation, the Padres scrapped together a run. So we headed to the 15, the 16th and then the 17th. As the 18th approached the announcers were clearly going a bit loopy having long ago run out of useful or interesting things to say. After the inning finished, Vasergian was presented a hat on a paper plate to eat and as they went to commercial they showed him trying to cut it with a fork and a knife while his booth partner laughed manically alongside. Also, for some inexplicable reason, they played the Oingo Boingo song “Weird Science,” tres tres bizarre. For the record, the last time Pavano pitched 200 innings was 2004, the first time he threw 200 innings was 2003. Isn’t it more likely that he is NOT going to throw 200 innings ever, since he only did so in 2 of his 9 seasons? Are we allowed to base all future opportunities based solely on what we did 4 years ago? If so, my 2004 life-stats were pretty decent, and I’d like all future employers to only look at my work from that year as opposed to anything afterwards. Unfortunately for Pavano, baseball is a numbers game, there are stats on everything, and generally, stats and numbers don’t lie. The story the stats tell about Pavano is that not only is it unlikely that he ever pitches 200 innings again, it is unlikely he’s ever a consistent major league starter ever again. Now, let’s look at the other part of O’Connell’s ridiculous statement, “Carl’s a 1-2 starter…” Uh, since when? Yes, in 2003 and 2004 Pavano had dope seasons, unreal seasons, but those seasons are more a statistical aberration rather than a sign of consistent ability. Let’s face it, after dating Alyssa Milano very little worthwhile has happened for Pavano. The chances of Pavano coming back and being an efficient starter for an entire season are probably about the same as Barry Bonds and Bud Selig making a travel buddy flick together. So while I appreciate the dedication of his agent, those comments have to be some of the stupidest and unintelligent about baseball I’ve seen for a while. That said, I expect to see the Asstros throw a 6 year 100 million contract at Pavano this off-season while he continues his 19th year of rehab sessions. My friends over at Improv Everywhere just released their latest prank, turning an otherwise ordinary Little League game in Hermosa Beach, California into the biggest game of the year. With printed programs, shirtless painted fans and a jumbotron showing replays and commentary by Jim Gray this prank was totally thought out and well planned. They pulled out all the stops for this one including mascots and even the Goodyear blimp. For these kids who were playing the game it had to be simply the coolest moment of their entire lives. I’m jealous. Check out the full prank with videos and such here. I’m normally only shirtless at a Little League game when I have been drinking since early in the morning, so these guys MUST be big fans.